Fast Facts: Minor Surgery, second edition provides an overview of the good practice and operative set-up required for dermatological surgery and the skin lesions commonly encountered in primary care. Dermatological surgery is practised routinely in primary care, and most minor procedures are straightforward and require minimal time. Success is dependent on the practitioner's ability to recognize lesions, choose and plan appropriate treatment and surgical interventions, and perform surgical procedures. 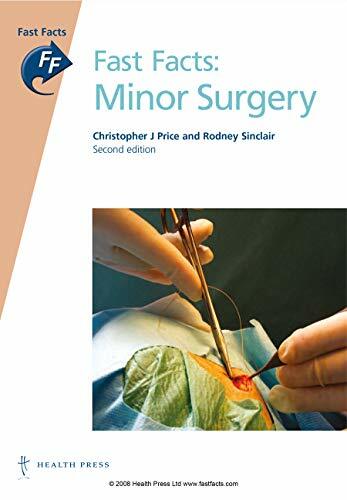 Fast Facts: Minor Surgery, second edition provides an overview of the good practice and operative set-up required for dermatological surgery, the skin lesions commonly encountered in primary care and the various techniques and procedures involved in their treatment.